It boasts it will be able to make the trip from London to NY in just one hour. The company also wants to take people and payloads into space and return to Earth. The precooler is a key element of Reaction Engines' revolutionary SABRE engine and is a potential enabling technology for advanced propulsion systems and other commercial applications. Reaction Engines' milestone is the result of about 30 years of work by the company's founders, Alan Bond, Richard Varvill, and John Scott-Scott, the Financial Times reported. The pre-cooler is critical in the plane's development because it is required to stop the engine from melting by lowering the temperature of compressed air in the engine from more than 1,000°C to room temperature in one-twentieth of a second. SABRE would, so its inventors hope, enable single-stage-to-orbit rockets rather than using the old US Space Shuttle system of solid-fuel booster rockets strapped to a large, disposable liquefied oxygen/hydrogen tank. 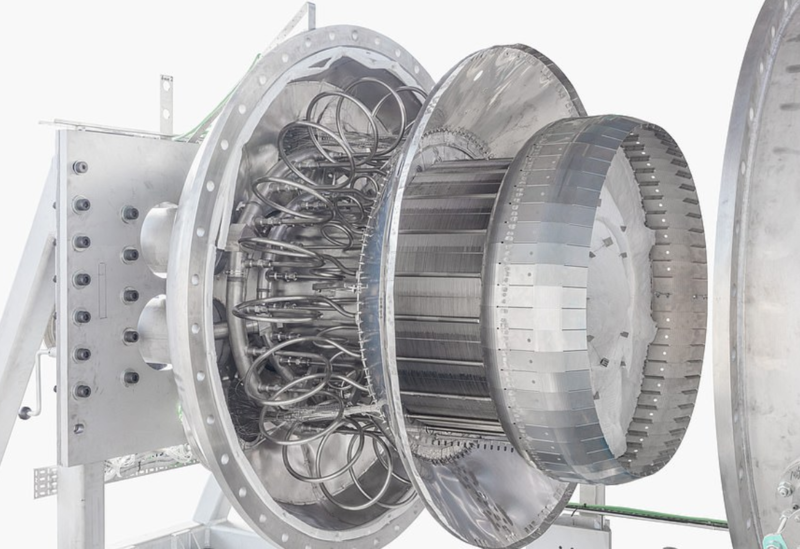 Reaction said this morning that its precooler heat exchanger had "successfully achieved all test objectives in the first phase of high-temperature testing created to directly replicate supersonic flight conditions". Sabre is meant to be much lighter than a conventional rocket engine because it would carry less fuel-oxidant.